The other day my artist friend, Leanne, tweeted: Structure releases creativity. I replied to Leanne: Agreed. I think true creativity comes when we actually think inside the square, that we take it to the edge, but within limits. Leanne tweeted back: Yep, I feel freer to paint now with the sound principles I’ve learned than when I was free to paint anything but had no guidelines. 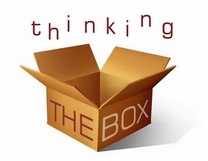 So now it’s time to start the radical Think inside the box movement. 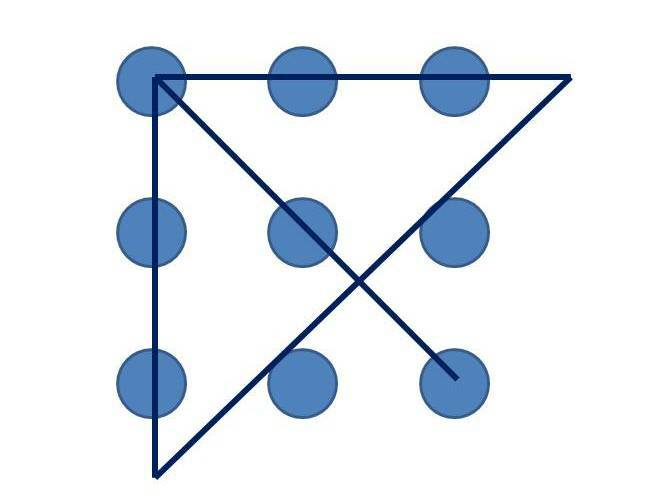 Originally the phrase “think outside the box” came from the nine dots puzzle, to link all dots with four straight lines, while not lifting the pen. The only way to can be solved is to extend the lines beyond the square of the puzzle. More commonly now, thinking outside the box, or the square, is viewed as lifting the lids or constraints and exploring unchartered space. But it can be a flawed premise for creative thinking. How can design, innovation and creativity sit comfortably with the word “constraint”? In fact, limitations, restrictions and requirements are in the DNA of the design challenge. Constraints can make the creative process more difficult, but set parameters will guide and provide a sense of purpose and direction. Too much freedom, it turns out, actually can be one of the worst constraints for a designer notes George Kembel, co-founder of Stanford University d.school design program. He explains further, what’s interesting is that if you give someone an unbounded challenge and say, ‘You can design whatever you want, with no restrictions,’ it then becomes too hard to find a place to get your footing. One final example, Yves Behar, Swiss industrial designer who is responsible for XO Laptop: For me, it is a big part of what makes design exciting. If someone says to me, ‘We’ve got to design an $100 laptop, and no one has done this before and in order to get there we’re going to have to approach this problem completely differently’ – as soon as I hear that, I start believing we are going to do it. So embrace the constraints of creative thinking and join me in the think inside the box movement, the place where creativity, design and innovation can really shine.